Our lightest display option. 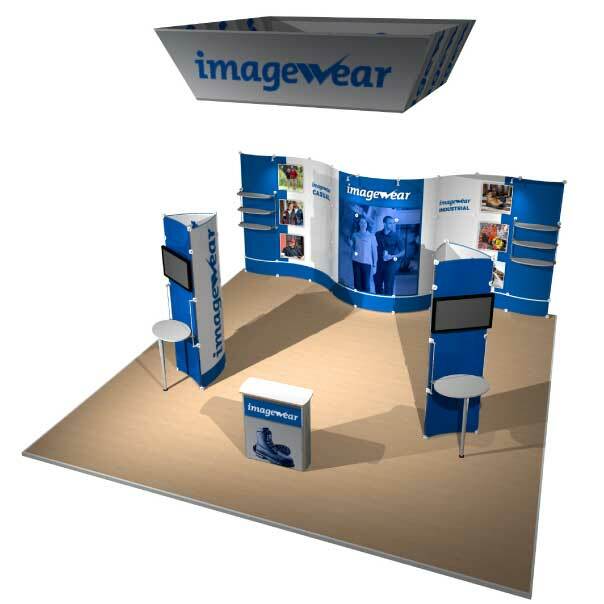 That Lite Thing™ is a great choice for active exhibitors that need to ship their display often. 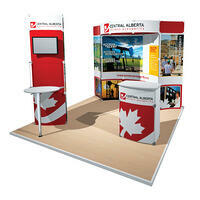 It is made of lightweight, curved or straight polypropylene plastic panels (27”x 27” and 12” x 27”). 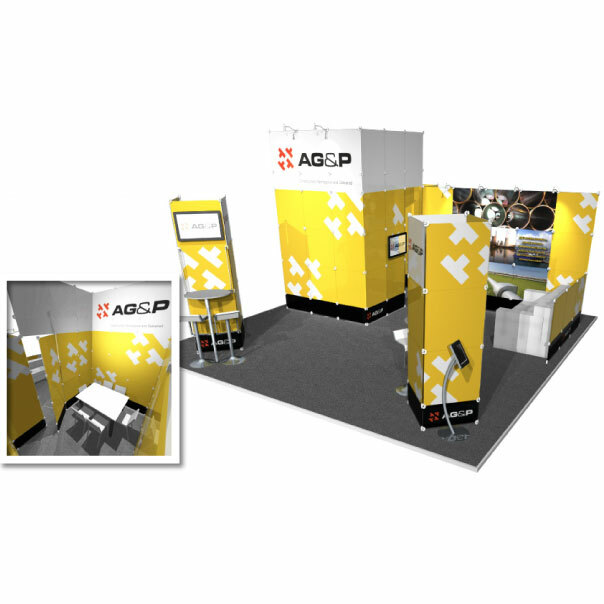 Graphics can be applied directly to the panels or added with magnetic tape. And can be applied to both sides of the panels for a 2-sided display. That Lite Thing™ is a European product that is new to Canada. 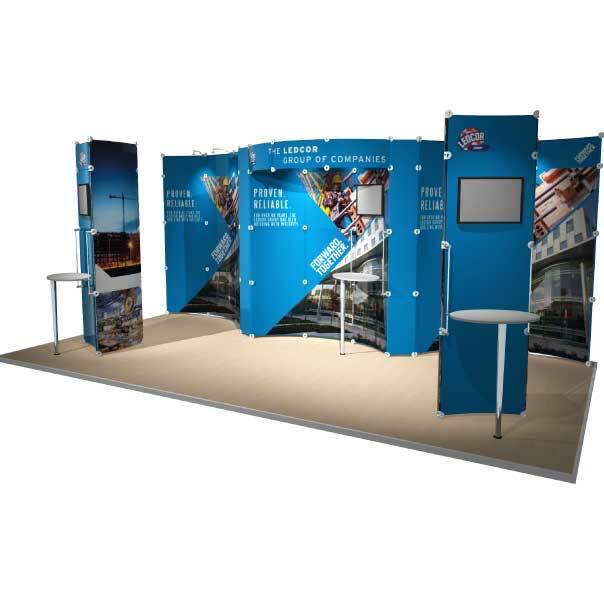 It is an extremely versatile and lightweight product, and not something you see regularly on the trade show floor—meaning you’ll stand out from the crowd. Vinyl decal graphics are applied directly to That Lite Thing™ panels, and panels are stacked together (requiring no tools) using round connectors called “nodes”. This makes setup very easy—simply stack up the panels in the order they’re labelled, attach accessories to the nodes, and walk away! The vinyl graphics are removable from the Lite™ panels, so you can reuse your display for years and update your graphics as often as you like. When it’s time to change your messaging, bring in your old That Lite Thing™ display and apply new graphics and messaging. 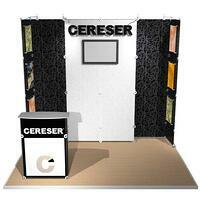 At that point you can also reconfigure your booth layout to achieve a completely new look for a minimal cost. Lite™ panels are available curved or straight, as well as in half and quarter sizes. 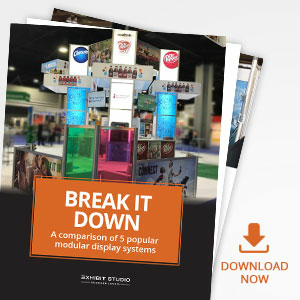 These different sizes and styles can be combined in hundreds of different ways, so that your display is customized to suit your space, your brand and your message. Because graphics can be applied to either side of a Lite Thing™ panel, you can extend the use of your display by applying graphics to both sides. 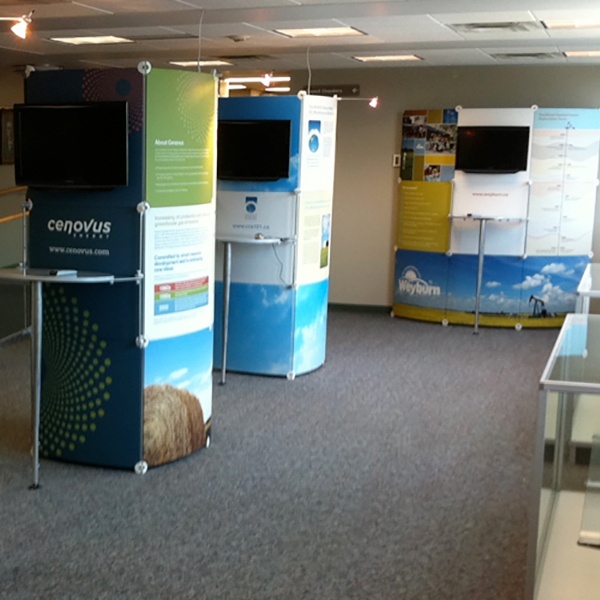 Design your display to incorporate different messaging or branding depending on which panels are facing front, or use double-sided panels in a larger space or meeting area. A standard Lite Thing™ graphic is printed to completely cover the Lite panel. 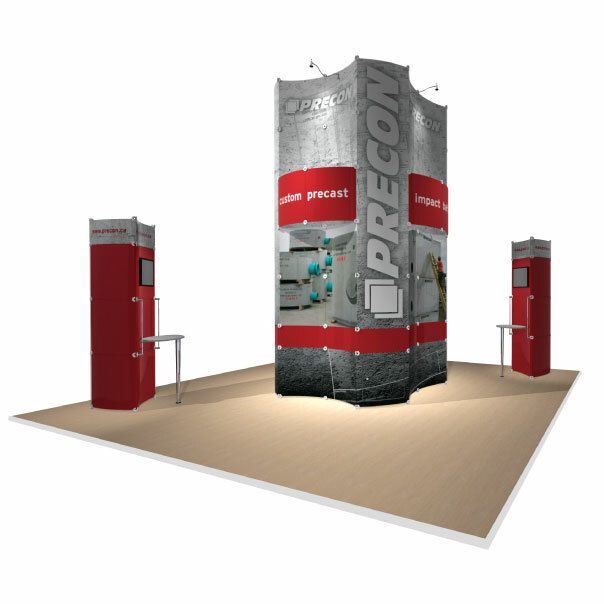 Get creative: with our in-house CNC cutter you can think outside the “box” of a Lite™ panel. We can cut and layer vinyl in any shape onto your panels, and if you start combining textured, patterned or neon vinyls with your printed graphics you’re on track for a truly amazing display.